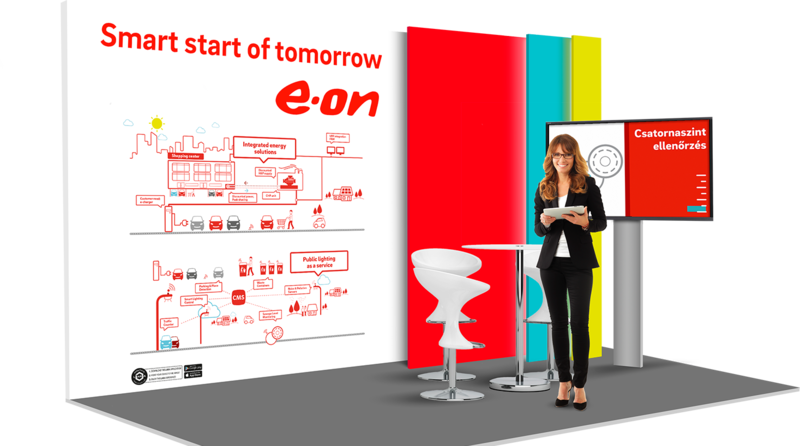 In May 2017, the E.ON Customer Solution Summit event was held in Berlin, where every E.ON member country could have presented some of its outstandingly important and new projects. Each country had a stand of the same size with a back wall, projector and other equipment. 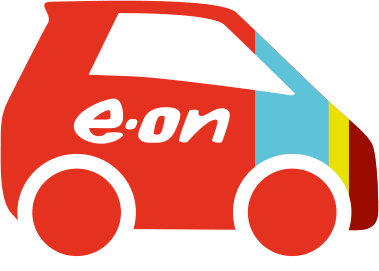 E.ON Hungary competed with two special projects in front of the professional audience: smart street lighting does not only provide ideal light conditions, but it can also be expanded with many intelligent community functions; the integrated energy service package provides a network-independent and environmentally friendly alternative to shopping malls. Our task was to find a visionary solution worthy of the products for presenting details. As both services are very complex and varied, spectacular infographics were placed on the back wall of the stand. The clear motifs and sign systems made it easy to see the functionality and unique features of the products. But we only believe in communication which sets things in motion – so we used a solution that allowed anyone to move still images. The infographic viewed through the camera of the visitor’s cell phone or tablet was immediately connected to the animated movie that we made for this particular occasion. The illustrations magically came to life before the eyes of the visitors, thus the technologies of the future could be literally experienced. 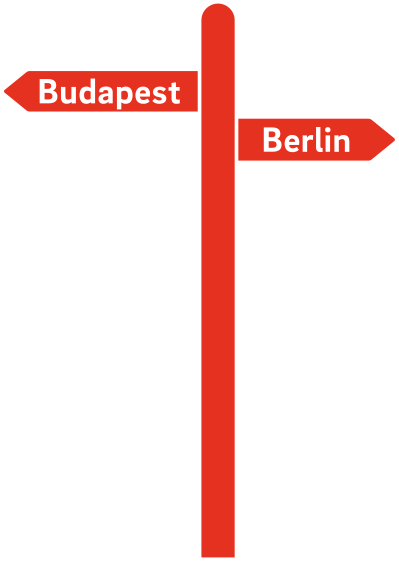 The Hungarian show was one of the most visited, most liked venue of the event. 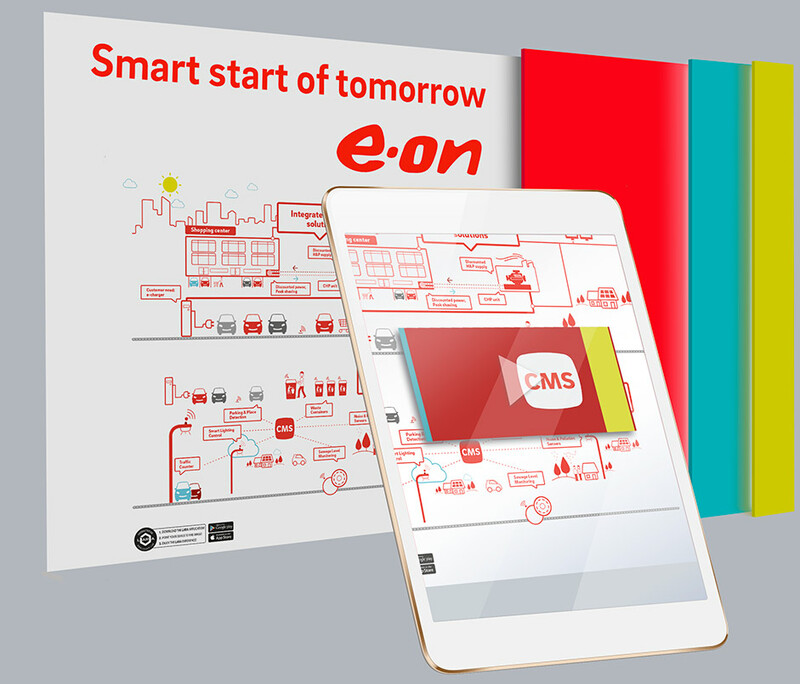 Augmented Reality provided a stylish presentation framework for all aspects of E.ON Hungary's innovative approach and special projects. Because it is always a great experience for us when we can communicate those unique product benefits that inspire us to come up with original solutions.